Join the fun and festivities with BlueTip! 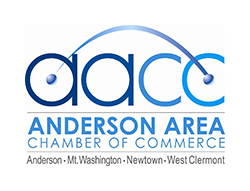 Party on the Plaza is a monthly concert series created by the Anderson Area Chamber of Commerce in conjunction with Anderson Township, designed to provide a relaxing night of entertainment for area residents of all ages. This family friendly, community event begins at 5:30 p.m. and runs through 9:30 p.m. on the outdoor South Plaza at Anderson Center, 7850 Five Mile Road. Bring a lawn chair or blanket and enjoy concessions including cold beer, wine and other refreshments. There is no admission charge. Food and beverages from Anderson Pub & Grill, Arthur's, LaRosa’s, Sweets and Meats BBQ, Freddy's Frozen Custard & Steakburgers are available for purchase throughout the evening. Nothing priced over $5.00. Like Party on the Plaza on Facebook by clicking here.